It was 2010. Blue released a new USB microphone that because of its ease of use, pattern versatility (3 mono patterns, plus stereo), price (I paid $99 for mine), and quality of sound, quickly became a bestseller. With its distinctive retro look, built-in zero-latency headphone amp, easy access, adjustable controls, and plug-and-play ability, the Blue Yeti was a mic that could live comfortably on your desk, like a friendly little R2D2 robot, at your service for a podcast or Skype call. People that do voiceovers, like myself, found it easy to use the Yeti in a pinch: plug it into a USB port, and get a decent quality recording at 16 bit, 48 kHz with no muss or fuss. 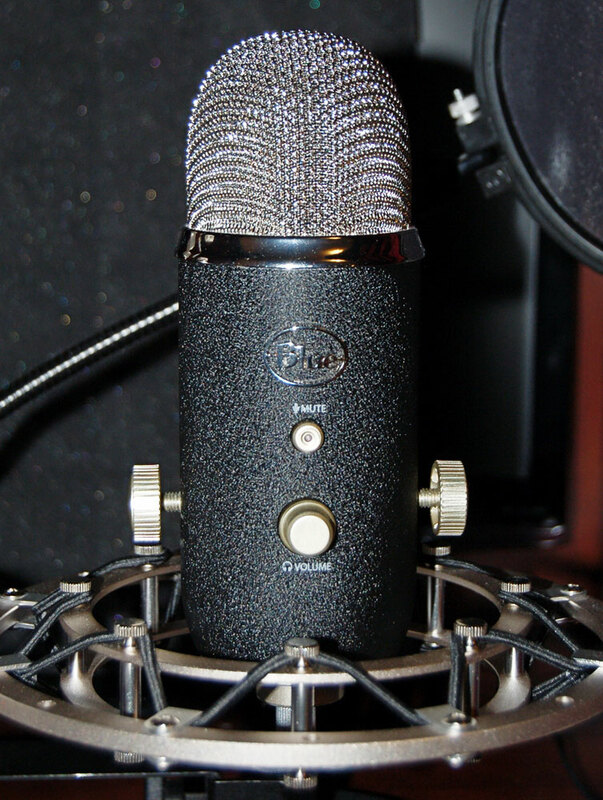 Earlier in 2011, Blue introduced an upgraded version of the microphone, the Yeti Pro. The specs were identical to the Standard Yeti. I really wasn’t that intrigued by it, except the fact that that it had the ability to record sound at four times the rate of the Standard, and had an XLR (analog) output in addition to the USB output. I searched for sound samples, but found none comparing the Standard Yeti to the Yeti Pro. So, I have made some for this review. If you are a Standard Yeti user, be forewarned: there are things you have to do to get the Pro to work. Being mostly a PC user, with Windows 7, I just opened the Pro package and tried to do a simple plug and play, just like the Standard. It didn’t work. When all else fails, read the instructions! You have to download a driver for Windows users, from XP to 7. Mac users, you must have OS 10.6.4 or it will not work. The rest of the setup is a matter of software adjustment and the Yeti Pro manual does a great job of helping you set the mic up on both a Mac and PC. From there, before making any judgments, get to know the Yeti Pro, because going from digital to analog will require a learning curve as well. More about that later. Comparing the two mics shows the distinct differences between the two. The Pro has a pleasing, retro black studio finish, much like older 60’s tube type processing equipment, with a slight brassy patina. The Standard is equally impressive looking, but the buttons and knobs on my standard seem to be of a lesser quality and even looser. The headphone volume control on the Pro is digital, spins infinitely and the OS remembers your last headphone level, a nice touch. Other than that the controls are identical. The Standard Yeti’s knob fonts are easier to read, a big difference when in a low light studio or if you are over 45 and need bi-focals to see which pattern you are in. The very handy and easy to see Mute button is the same on both microphones, staying solid red when recording, and blinking brightly when engaged (in USB only on the Pro). How do the mics perform? When it comes to output gain, the Standard Yeti is the champ. To get the same recording level in USB mode, the gain on the Pro has to be turned up all the way, while the Standard gets the same output at less than half of full volume. Blue’s technical support staff confirmed my suspicion, that the Pro has lower output gain to enable the mic to perform better at high SPL. What I would rather see is higher gain with a 20db pad switch. Reading other reviews, this seems to be the number one issue with the Pro. I hope Blue is listening. The next difference is the quality of the headphone monitor circuits. Here, the Pro excels. The Standard Yeti has a tinny, breezy, noisy, low-gain headphone amp, requiring nearly maximum gain to get decent output levels. I was amping the Standard Yeti’s amp! In contrast, the Pro amp is dynamic, rich, and does not require full gain (unless you have substantial hearing loss and want feedback). The published frequency-response graphs of these two microphones are identical. But the mics don’t sound the same. My first test had both mics side by side, capsules at the same height and position, both mounted on Blue Radius shock mounts, with digital (USB) output at 16 bit, 48 kHz, to two computers. I used calibration tones to ensure equal signal levels into Audacity. My first test was a non-scripted, let’s say fireside chat, testing both mics simultaneously. After the recording, I lined up the two recordings in Audacity for comparison. My initial impression was that the Yeti Pro has a much smoother, flatter response, whereas the standard Yeti had an audible mid high-end bump in Cardioid, picking up sibilant sounds more readily. Both mics at this bit rate and level seem to have the same self-noise level. My voice on both sounded similar, but the Pro was smoother. In a test of the patterns, both mics performed equally as well in all patterns. On both mics, my least favorite pattern was the Figure 8. The rear lobe sounded hollow and not as dynamic as the front. I would not use this pattern for duets, as I felt the sound imbalance was too dramatic compared to the Omni and Stereo patterns. This did not change at higher bit rates. Acoustic guitar tests were done at 16 bit, 48 kilohertz on the Standard Yeti, and on the Pro at 16/48, 24/96 and 24/192. The Standard sounded colored, with a high frequency bump that at times seemed harsh and unpleasant. The Pro sounded warmer, smoother and more like the guitar at all bit rates. In this next test, I set the Yeti Pro to 24bit, 96-kHz rate. (The Standard Yeti remained at its highest-quality rate, 16/48.) Here is where the sonic differences became more pronounced. This is not surprising, because the Pro’s manual boasts the use of a higher-quality ADC, which “provides incredibly low distortion, high fidelity, and balanced frequency.” This statement is much truer than the provided frequency graphs. Even though the levels were carefully set, I noticed slight differences with each Yeti on the playback waveform. I attribute this to how each mic responds to different frequencies: the Standard Yeti attenuates the mid high-to-high frequencies, thus being louder here and offering more distortion and coloring. Both mics have about the same amount of self-noise, which is very low. Voice tests with the Pro provided a richer, smoother sound in Cardioid, much like a larger-diaphragm condenser in my opinion. The Standard started to show its armor chinks here. The audible high frequency ring on the guitar test was still there, and individual plucks of the strings sounded colored and slightly distorted. The Pro sounded like the actual guitar, which has flaws, but it sounded real, exactly like the guitar with no coloring, especially at the highs. I noticed the most distinctive differences between the two mics on voice tests. The Standard was not as warm sounding; sibilance was much more pronounced. 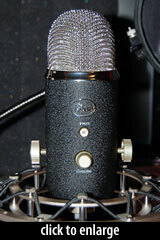 The Pro sounded warmer, more like a professional condenser microphone. I also noticed more self-noise with the Standard Yeti here. The Yeti Pro’s ability to output both analog (via XLR) and digital (USB) makes it even more appealing. It sounds great, going through a console to an external ADC. The ability to record in stereo is an added plus. 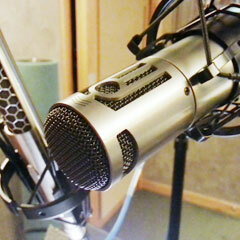 My voiceover and instrument tests proved to me that it is a worthy opponent to more-expensive large-diaphragm mics. The mic’s noise level in analog is also very low, and the apparent gain of the mic goes up substantially. Whereas in USB, I was using maximum gain, the analog output requires only a moderate amount of preamp gain. Another benefit of using the analog output is the ability to use the EQ, pads, and filters on your console or channel strip, as you would with any analog microphone. The Pro’s Mute button and headphone amp do not work when using the analog output. As with all condenser mics, the Pro requires Phantom power. I prefer the Yeti Pro to the Yeti. In fact, I liked the mic so much, I decided to buy it. There is really not much you can’t do with this microphone. I have nicknamed mine the “Proteus,” after the Greek god of the sea, who could change his appearance at will. That describes the Pro in a nutshell. If you are doing podcasts, or any less-demanding recording, or you don’t have a console and don’t want to invest in one, stick with the Standard Yeti, as you are not going to benefit as much from the Pro. 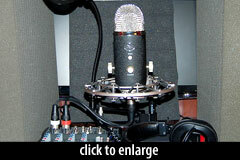 However, if you want to shell out an extra $100.00, you will be getting a much better mic all around. I hope all is well. Hopefully you still get these questions lol. Thank you for this very informative article. I’m new to this, and because of your attention to detail, I’m now leaning towards the pro model. 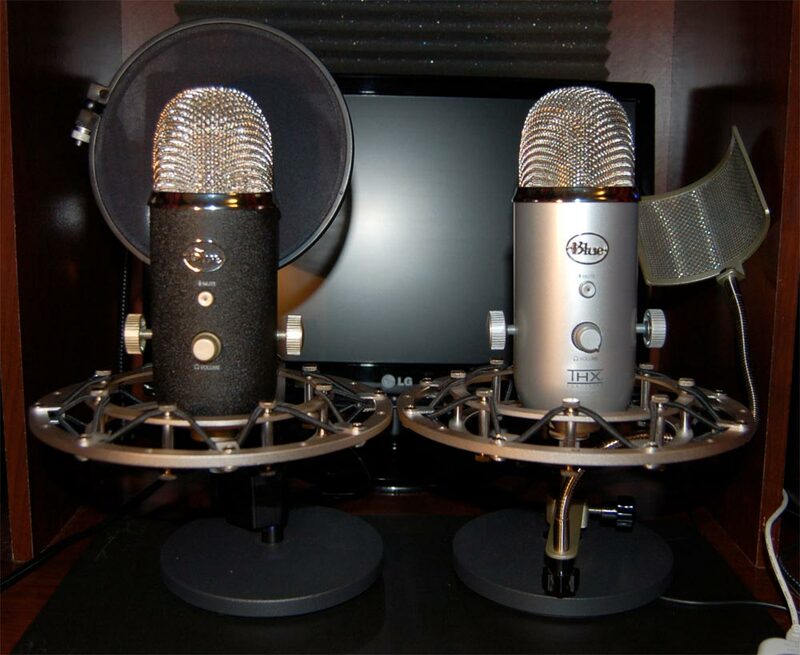 I was hoping for your opinion on the Blue Yeti Pro for use in a podcast with several people? It would be 3-5 people at a time, and I would be recording into software on an iPad. I saw in one of your more recent comments that you suggested the Blue Spark as well, and it made me wonder if that would be a better choice for podcasting. Any advice is extremely appreciated! Thanks again! I’m finding a USB mic for trombone/euphonium recording(or multitrack recording), and hopefully being able to record a classical music recital, too. And sometimes, for audition recording to music schools or professional job auditions. May I know which one will be a better choice? Just actually received both Dez and Lances questions. For Dez, if you were doing a solo pod cast or even a duo, the Yeti would be fine, how ever it is not going to pick up that many voices in a room effectively You may want to invest in some reliable condenser mics, say 2 or 3 Studio Projects B1 and an interface which will handle 4 XLR inputs. Record each person in their own space or share a mic. For Lance, I have not yet recorded classical with a Yeti, but for the nuances, a large diaphragm condenser mic with a good interface again may be your best option. The Yeti Pro, in a good room in stereo can give you pleasing results with acoustic instruments. Google best mics for the instruments you play, and check out Recording Hacks. For such a loud instrument like a trombone, the Yeti Pro may not be able to handle it, They do not have a pad and the omni pattern on the Yeti’s had a nul area, or at least a low volume area, due to the read lobe not being in a typical condenser capsule configuration. Hope this helps!. Just wanted to write a quick Thank you. 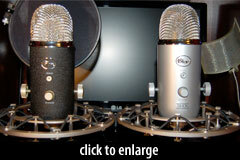 Best review and side by side I’ve seen on these mics! 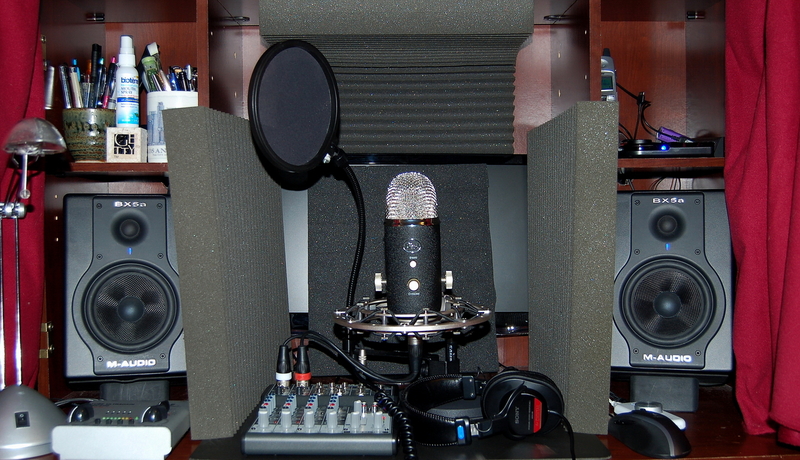 I’m a hip-hop recording artist and producer who cannot decide between the Yeti Studio and the Yeti Pro. I want to record high quality tracks but at the same time I have a tight budget. 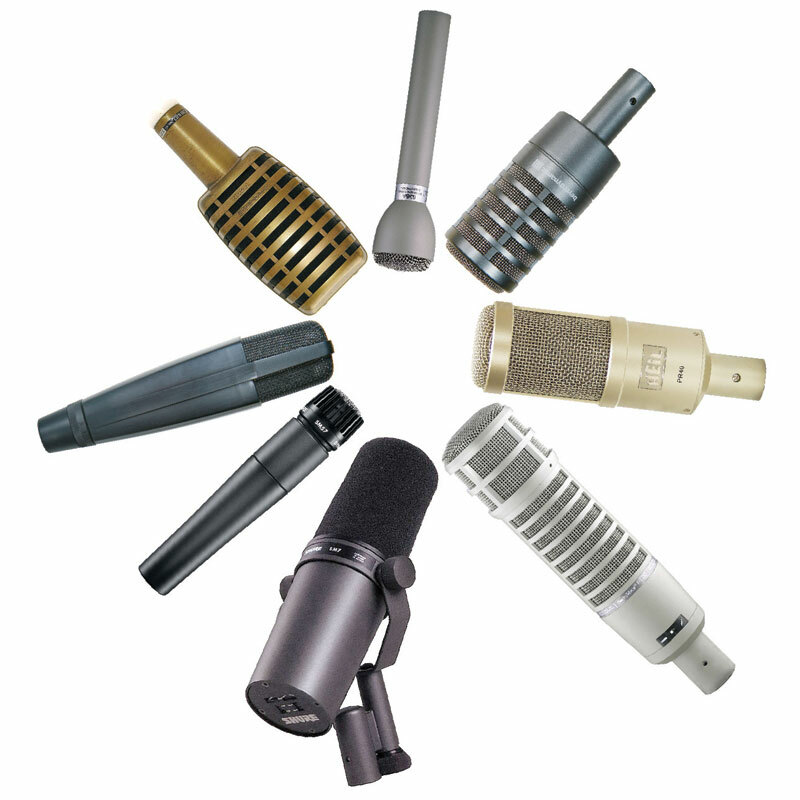 What do you recommend I do?is the difference between the two microphones’ quality that big? For recording 24 bit 192or 24bit 96khz with yeti pro do i have to use the xlr cable or does it records with usb too? To Apaar, The Yeti Pro must be recorded at 192khz 24 bit via USB, same with 96k, unless you want to use an interface and record XLR into the interface. The convertors are very good on the Yeti mics, so go USB. For The King, Sorry to get back so late to you, but this is the first time I’ve seen your post. Both Mics will give you almost identical results at a lower bit rate. The advantage of the Yeti Pro is higher conversion rates and you can use it as an XLR mic into an interface, whereas the Standard Yeti does not have these options. Hello! Thanks a lot for this test. I Do professional voice over but have barely no knowledge of microphones technicities. Still, I am looking for a mic that would be good enough for pro voice over and that I could cary with me while traveling and that I could use with nothing else but a laptop. Do you think that the Yeti Pro will be good enough ? I actually received this on December 16, 2017 [note: Editor’s fault, not David’s!] so sorry for the very late reply! From what I understand, the Yeti Pro has been improved since I did the shootout, the weak point was its bad gain staging. Blue has also released other USB mics, which may even surpass the quality of the Yeti, which remains a staple for all sorts of Voice Actors, Pod Casters and so on. I think the Yeti Pro is robust, and would be a great choice for a travel mic! I’ve been searching for a decent desk stand for my Yeti that can be used with a shockmount and your setup looks perfect. Finally I chose nomal Yeti(not pro) for podcasting and making lecture video.